Ronald O’Rourke, Maritime Territorial and Exclusive Economic Zone (EEZ) Disputes Involving China: Issues for Congress, R42784 (Washington, DC: Congressional Research Service, 24 May 2018). 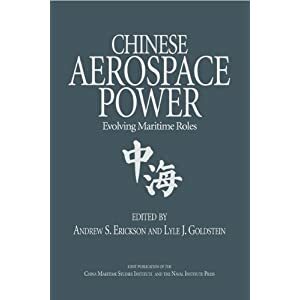 91 See, for example, Andrew S. Erickson, “Understanding China’s Third Sea Force: The Maritime Militia,” Fairbank Center, September 8, 2017; Andrew Erickson, “New Pentagon China Report Highlights the Rise of Beijing’s Maritime Militia,” National Interest, June 7, 2017; Ryan Pickrell, “New Pentagon Report Finally Drags China’s Secret Sea Weapon Out Of The Shadows,” Daily Caller, June 7, 2017; Conor M. Kennedy and Andrew S. Erickson, “Hainan’s Maritime Militia: All Hands on Deck for Sovereignty Pt. 3,” Center for International Maritime Security, April 26,2017; Conor M. Kennedy and Andrew S. Erickson, “Hainan’s Maritime Militia: Development Challenges and Opportunities, Pt. 2” Center for International Maritime Security, April 10, 2017; Andrew Erickson, “Hainan’sMaritime Militia: China Builds A Standing Vanguard, Pt. 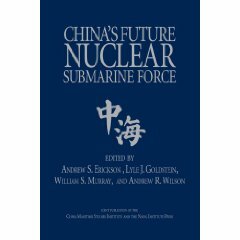 1,” Center for International Maritime Security, March 25, 2017; Conor M. Kennedy and Andrew S. Erickson, China’s Third Sea Force, The People’s Armed Forces MaritimeMilitia: Tethered to the PLA, China Maritime Report No. 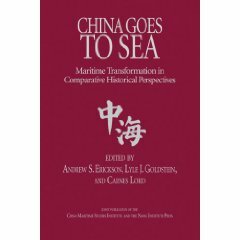 1, China Maritime Studies Institute, U.S. Naval War College,Newport, RI, March 2017, 22 pp. ; Michael peck, “‘Little Blue Sailors’: Maritime Hybrid Warfare Is Coming (In the South China Sea and Beyond),” National Interest, December 18, 2016; Peter Brookes, “Take Note of China’s Non-Navy Maritime Force,” The Hill, December 13, 2016; Christopher P. Cavas, “China’s Maritime Militia a Growing Concern,” Defense News, November 21, 2016; Christopher P. Cavas, “China’s Maritime Militia—Time to Call Them Out?” Defense News, September 18, 2016; Conor M. Kennedy and Andrew S. Erickson, “Riding A New Wave of Professionalization and Militarization: Sansha City’s Maritime Militia,” Center for International Maritime Security, September 1, 2016; John Grady, “Experts: China Continues Using Fishing Fleets for Naval Presence Operations,”USNI News, August 17, 2016; David Axe, “China Launches A Stealth Invasion in the South China Sea,” Daily Beast, August 9, 2016; Andrew S. Erickson and Conor M. Kennedy, “Countering China’s Third Sea Force: Unmask Maritime Militia Before They’re Used Again,” National Interest, July 6, 2016; Andrew S. Erickson and Conor M. Kennedy,“China’s Maritime Militia, What It Is and How to Deal With It,” Foreign Affairs, June 23, 2016.
missions on an ad hoc basis outside of their regular commercial roles. The CMM has played significant roles in a number of military campaigns and coercive incidents over the years, including the 2011 harassment of Vietnamese survey vessels, the 2012 Scarborough Reef standoff [with the Philippines], and the 2014 Haiyang Shiyou-981 oil rig standoff [with Vietnam]. 92 Department of Defense, Annual Report to Congress [on] Military and Security Developments Involving the People’s Republic of China 2017, p. 56. See also pp. i, 12. 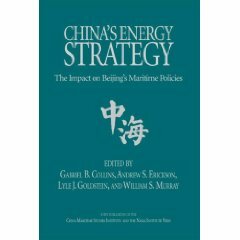 China’s actions for asserting and defending its maritime territorial and EEZ claims in the ECS and SCS raise several potential policy and oversight issues for Congress, including whether the United States has an adequate strategy for countering China’s “salami-slicing” strategy, whether the United States has taken adequate actions to reduce the risk that the United States might be drawn into a crisis or conflict over a territorial dispute involving China, and whether the United States should become a party to the United Nations Convention on the Law of the Sea (UNCLOS).